As an affiliate, any customers that are referred to us from your website, blog, Facebook page or Twitter feed can earn you money. By using a tracking code in the url of the links from your site, you get a 20% commission for any sales made from the customer. 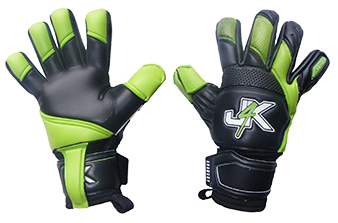 Just imagine if you got just 10 buys per month averaging say £50 each sale… that’s £100 per month commission for just adding a J4K banner to your social media sites and telling your friends. The J4K admin does all the hard work behind the scenes, so all you have to do is keep checking your account. You will be paid on the 5th of each month, for your previous month's sales. * (Please Note: The minimum payment that we will send over is £25, so do not panic, if you do not hit this milestone in one month, we will simply carrier it forward to the following month(s) until you hit your £25, we will then forward your payment. How to make money with J4K in just a few simple steps! Step 1 - If you haven't signed up already, you'll need to register to become an affiliate. Registration is free and only takes a few minutes. Click here to sign up to the affiliate scheme. Step 2 – Once you have registered to become an affiliate, you can login and view your account details. Under the heading 'My Affiliate Account' you should change your payment preference to let us know how you want to receive your commission. Step 3 – To enable us to know when a customer has been referred to us from your site, you need to use a unique tracking code in your link to our site. Your tracking code can be found under the heading 'My Tracking Information'. Step 4 - Your tracking code can either be added to a link to our home page or to individual products within the site. To create a link to the home page, simply add use a link like this, replacing xxxxxxxxxx with your own tracking code. To add a link to individual products you can use the 'Tracking Link Generator' tool. Simply type the name of the product you wish to link to and the the code will be generated for you. Step 5 – Once you have the code for your link you can paste directly into the HTML of your website or blog. That’s it! Simple or what? Instead of using text link, you can of course use images to link to our site. To help get you started we have already created a number of images in standard banner ad sizes which you can download for free from here. Step 1 - Go to the banners page by using the link above or the one found in your account settings. Step 2 - Choose the image you would like to use and right-click to download to your computer's hard drive. Step 3 - Upload the image you downloaded to your website and add a link to our site ensuring that you tracking code is included. Please note: Many websites and blogging platforms are built with a content management system that uses a basic HTML editor to allow you to write content for the pages. Most editors will include a button (usually a chain icon) that will allow you to easily create links for your site. Please ensure that if you use this method that the full URL including the tracking code is in place. * When you payment is sent, this will be minus the paypal cost or the cost of sending your cheque via post. At time of writing this is only about 3% but might be subject to tiny changes from time to time.